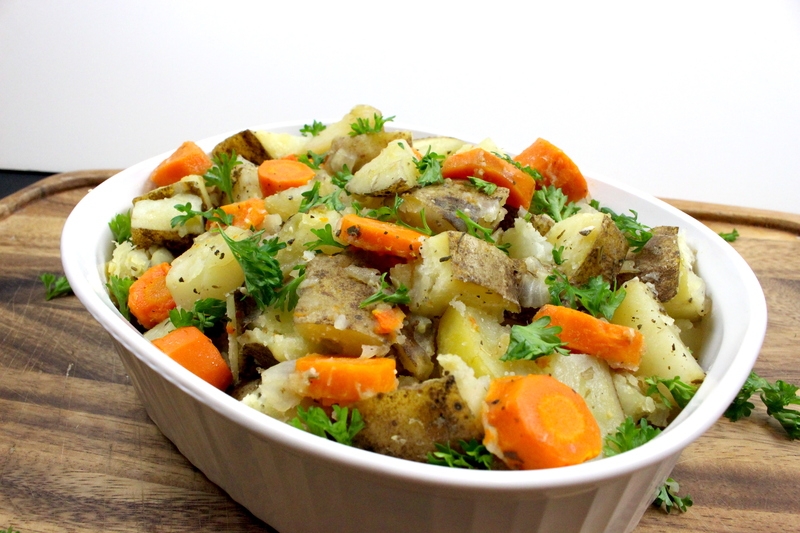 With only 20 minutes of cook time, this carrot and potato medley is the ideal last minute Thanksgiving side dish! Preparation: Cube potatoes, chop carrots and chop onions. Set Instant Pot to “sauté”. Add onions and 1 tsp garlic and sauté for 3-5 minutes. Next add the carrots and sauté for 3-5 more minutes. Then press “cancel” on the Instant pot and add in the the potatoes, mix together. Then add the rice vinegar, remaining garlic, vegetable broth, Italian seasoning and salt. Mix all together. Then, close the Instant Pot, turn the pressure release knob to “sealing”, select “manual” mode and set time to 10 minutes. After 10 minutes, quick release pressure by turning knob from “sealing” to “venting”. Serve and garnish with fresh parsley, enjoy!